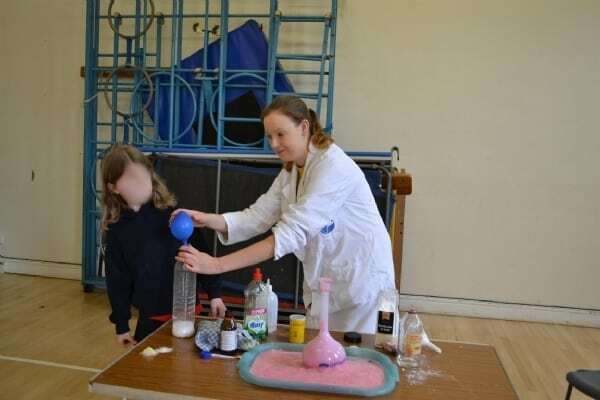 Fun Science offers free science assemblies to primary, infant or junior schools located up to 30 miles from our Bath. Bristol and North Yorkshire branches. Find out if your school is covered by entering your postcode in the box to the right of this page. Schools can chose from ‘Electricity’, ‘Chemical Reactions’ or a combination assembly. Read on to find out why we are offering our services for free. 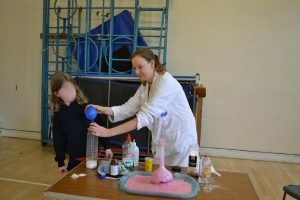 We love getting children interested in science and provide a number of services for schools including our five week after school programme. We hope that if you see how excited and engaged your pupils are during our assembly you will consider hosting the programme (which carries no cost to the school). If, after the assembly, you decide the club is not for you – no problem! Your pupils will have received an experience they may otherwise have missed out on and that is enough reward for us. You can read more about the after school programme and why we think we are the best company for your school here. The assembly is free for all primary, junior or infant schools up to 15 miles from Bath. All we ask is that you consider hosting the Fun Science after school programme afterwards. If you decide it is not for you or your pupils then the assembly remains completely 100% free. If you are unsure if you fit into our radius just ask. The assembly itself lasts for 15 minutes. We’d like to go ahead and book a free science assembly! Brilliant! If you would like to book an assembly please email info@fun-science.org.uk and let us know which school you are emailing from, the best days/times for an assembly and roughly how many children you would like the assembly to be for. If you are interested in finding out more about our after school programme please let us know this in your email as well and somebody will get back to you as soon as possible.